I often think there is a large misconception that tracking your food only needs to be done if you are trying to lose weight. 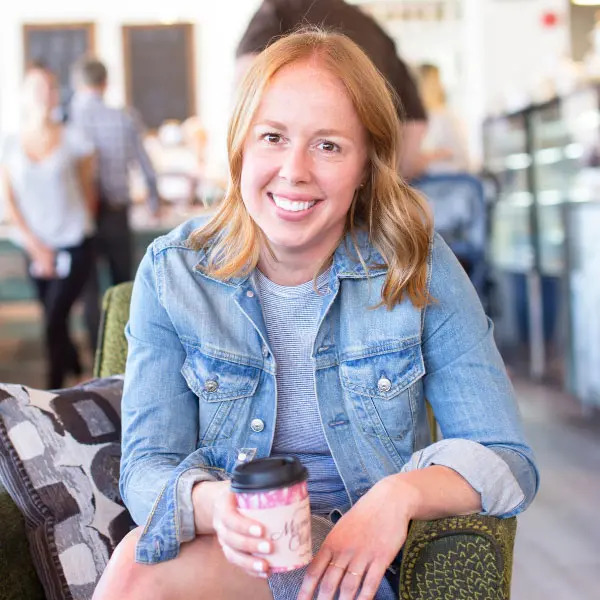 The reality is, many people can benefit from tracking their food regardless of what their health goals are or if they are working on one at all. In fact, keeping a food log is the first thing I ask my individual clients to do because you can learn a lot about your habits, patterns, energy levels, digestive issues, skin issues, or what you are eating a lot of (or not a lot of) by simply tracking your food. Don’t get me wrong, I don’t think you need to track your food forever, but even a few days, a week or a month can bring a lot of awareness to your personal food choices and shine some light on what you are actually eating, not what you think you are eating. 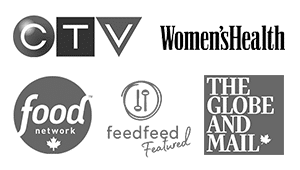 So, here are are 11 reasons you should track your food and how you can benefit from doing so. The number of times I have asked someone “what did you eat today?” and the person be unable to answer are countless. Too often we are just eating and not actually paying attention to what we are eating, let alone how much we ate, how we ate it, where we ate it, when we ate it and why we ate it. 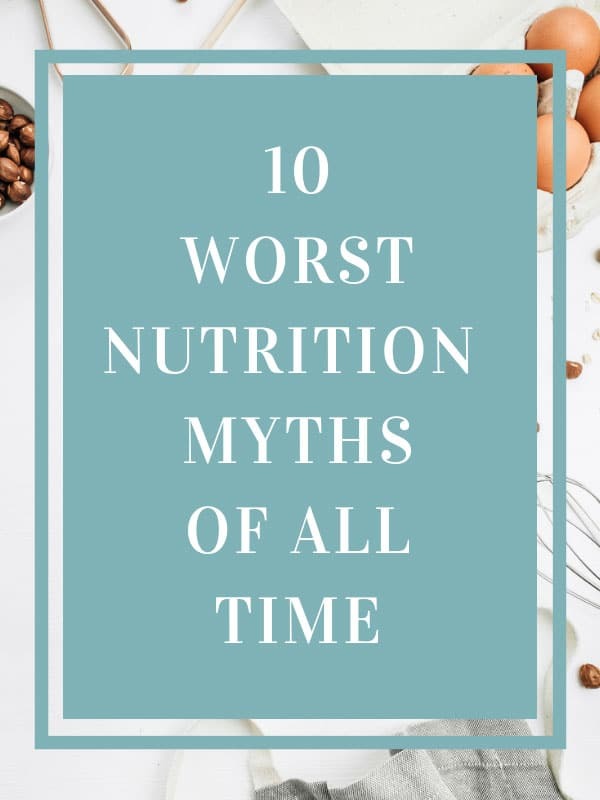 More often than not people think they are eating much better than they actually are, but when you have to put pen to paper the facts don’t lie. Be it a notepad or an app, tracking your food can truly help to bring a whole new level of awareness and mindfulness to your diet. Being accountable to someone, be it for work, at the gym or for your diet, is a really helpful way to ensure that you stay consistent with your choices and, the reality is, the person you need to be the most accountable to is yourself. Although it may seem rather insignificant, tracking your food forces you to think twice about what you put in your mouth and therefore helps hold you more accountable to your own goals. 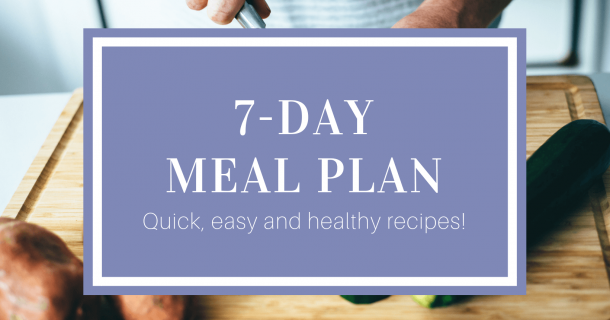 Keeping a food log is not only about discovering what you are doing poorly, it can actually help show you what you are doing well so you can ensure you continue to do it. Perhaps you eat more vegetables than you thought or are really consistent at drinking water, whatever it may be these good habits are often reinforced by keeping a food log and are something that you can (and should) feel good about. In reality, there is nothing wrong with finding flaws in your diet, it’s actually a good thing because it helps you identify what you need to work on. I often refer to them as “areas of opportunity”, they are not “bad”, they are just things that you can improve upon. Often mistakes, errors or failures are the things that propel people to the biggest successes, but being able to identify them is the first step to improving them. Tracking your food is also a great way to identify how much you are actually eating. Are you eating too much? Are you eating enough? Surprisingly, although some people do over-eat, some people actually under-eat as well. The first step to eating well is focusing on whole foods, the next steps are paying attention to how much you eat and what balance of macronutrients (carbs, protein and fat) you are eating. Using an app to track your food can help paint you a picture and show you if you are eating the right amount of the right things. As you go through the day it’s really easy to eat a handful of nuts here, an extra slice of cheese there and a spoonful of peanut butter over there, and then before you know it you’ve eaten way more food than you indented. Often people think they just ate breakfast, lunch and dinner, but forget about all of the little items they grabbed in between as they walking past the kitchen, where watching TV or while they were cooking dinner. 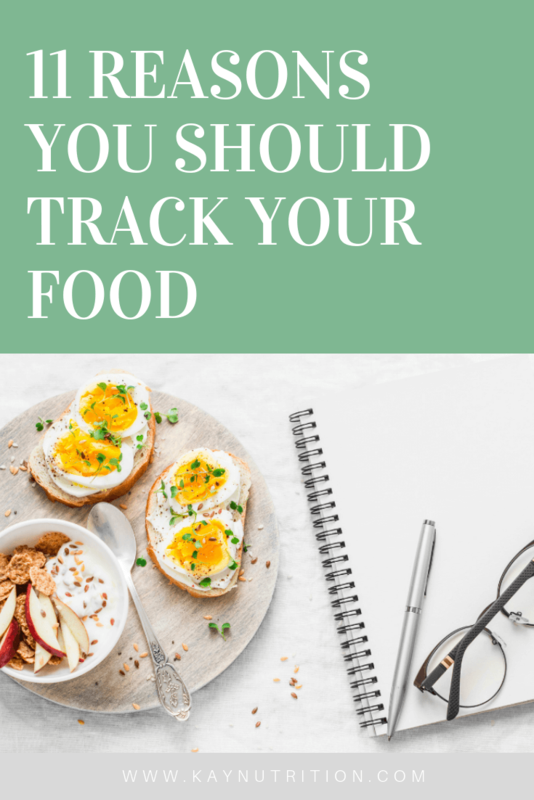 Not only does tracking your food help you pay attention to what you are eating in your meals, but helps you identify all of the little things you are putting in your mouth without even realizing it. People often tell me they are doing “all the right things” but for some reason they just can’t seem to lose weight, however, as soon as they start tracking their food they begin to see the holes in “perfect” plan. Perhaps they weren’t eating enough protein. Perhaps they were eating too much fruit. Perhaps they weren’t drinking enough water. Perhaps they were eating too much. Perhaps they were eating too often. Or perhaps they were eating well during the week, but not on weekends. Whatever the reason may be, tracking your food is an essential tool for weight loss as it tells you exactly what you are doing, allows you to track your progress, and make adjustments where needed. Bloated? Gassy? Tummy always feeling a little off? Different people react differently to different foods, so keeping a food log is a great way to help identify what may be affecting you individually. It’s actually not “normal” to feel uncomfortable after you eat, struggle to go to the washroom regularly, or have to go urgently all of the time. 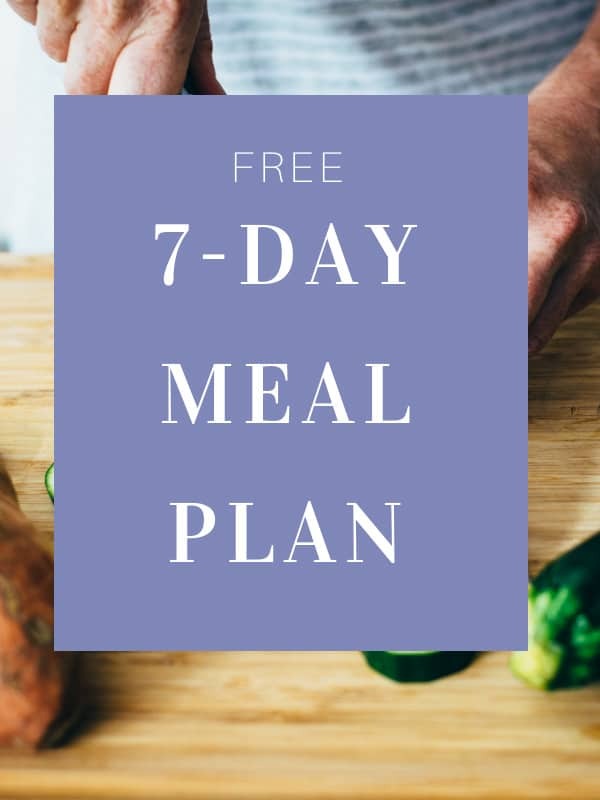 So, if you are accustomed to tummy troubles but can’t seem to figure out why, tracking your food and noting how you feel each day is a great way to start to connect the dots. Often things we think are unrelated to what we eat are actually more related than we realize. Being hungry mid-morning, being tired in the afternoon, and having cravings in the evening are all things (just to name a few) that can be related to what, where, when, and how we ate. Perhaps you never eat much for breakfast and that’s why you struggle to make it to lunch, or perhaps you always have a carb-heavy lunch so you always crave something sweet in the afternoon. Regardless of the reason, keeping a food log can help you to identify these patterns so you can adjust them. Reach for a snack when you are bored at work? Reach for a treat when you are stressed? Tracking your food forces you to be mindful of your food choices and why you are making them, so it can help you dive deep into the why behind what you are eating. Do you always open the fridge when you walk in the house? Do you always go to the pantry looking for a snack after dinner? Often our food cues have absolutely nothing to do with actual hunger and everything to do with cravings, our environment and how we are feeling. The best part about tracking your food is that you can look back and reflect on your progress. Changing your diet and food habits is hard so when you do make progress it is important that you celebrate it, even the smallest changes. Not only will tracking your food help you to celebrate these important milestones, but reflecting on your success is added motivation to keep going. 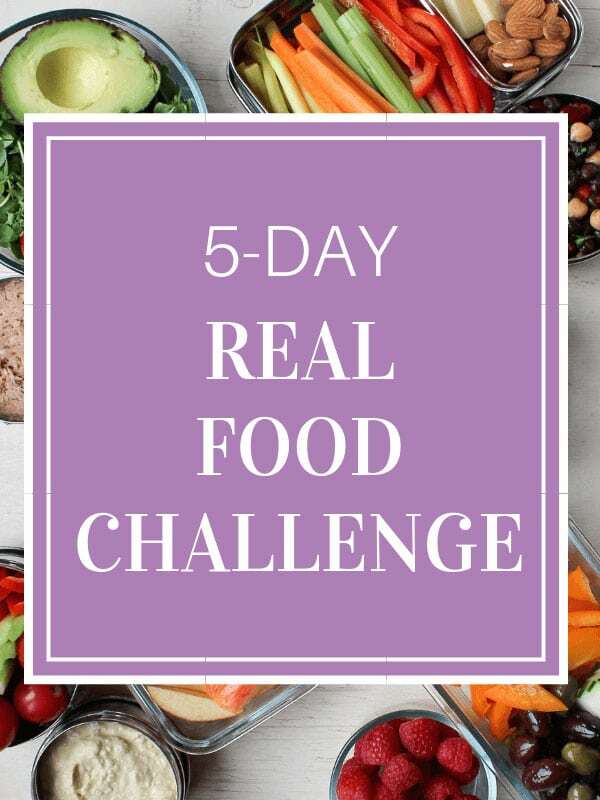 If you’ve never done so before, or are currently struggling to reach a health goal, I highly suggest giving a food log a go. Whether you are writing in a journal, keeping notes on your computer or using an app like MyFitnessPal, a little tracking goes a long way in taking your diet and your health to the next level. 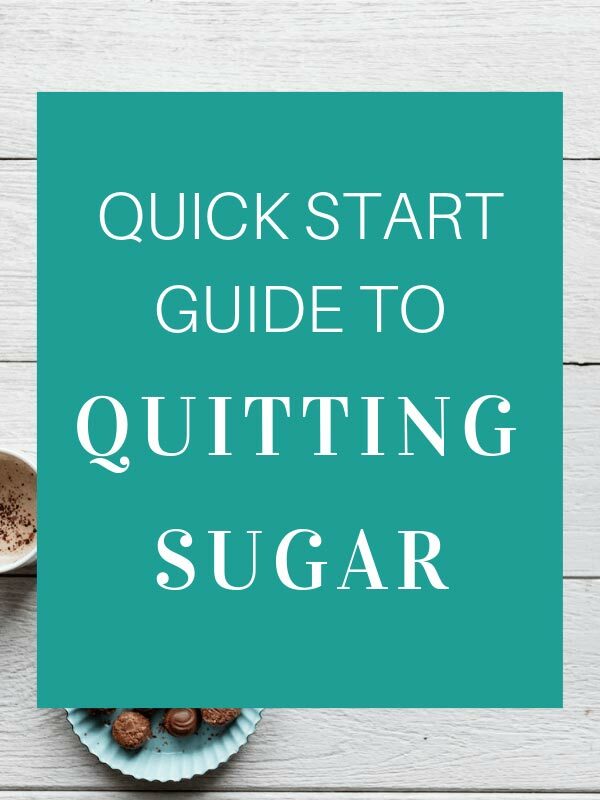 Grab a FREE copy of my Quick Start Guide to Quitting Sugar and get started today!